Acousticfoodie, what is that first jacket? I really like it, and if this is what you call bummy, you're still outdoing 95% of well dressed guys, lol. I almost wore that very shirt today! Switched it out for another madras that was a bit lighter in color. Very sharp, roklobster! Those shoes are the business. Indeed. Those shoes are, the business. Roklobster: Did you happen to get these during the memorial day AE seconds sale? I am kicking myself now for not getting them. Great look! Thanks guys. Yes I did get them during that sale. I think AE made RL are of better quality and style than standard AEs. Let's hope they keep making shoes for RL and including them in the Shoebank sales haha. @Acousticfoodie, thanks for the information! How are you liking the oil finish on that one? I read around online, and apparently some people complain that it actually feels wet to the touch, and leaves a residue on anything it touches, at least until broken in. Is that true? I like the look, but that puts me off, so I'm thinking of their Ranch Jacket instead. The design is very similar, except this is tin cloth and has a lining, and is supposedly pretty warm to boot. Anyone know anything about it, or tin cloth in general? The good thing about not having money to waste is I can't impulse buy things I like, lol. Very simple today... I pulled BARBRI double-duty yesterday so I could spend today at the lake. 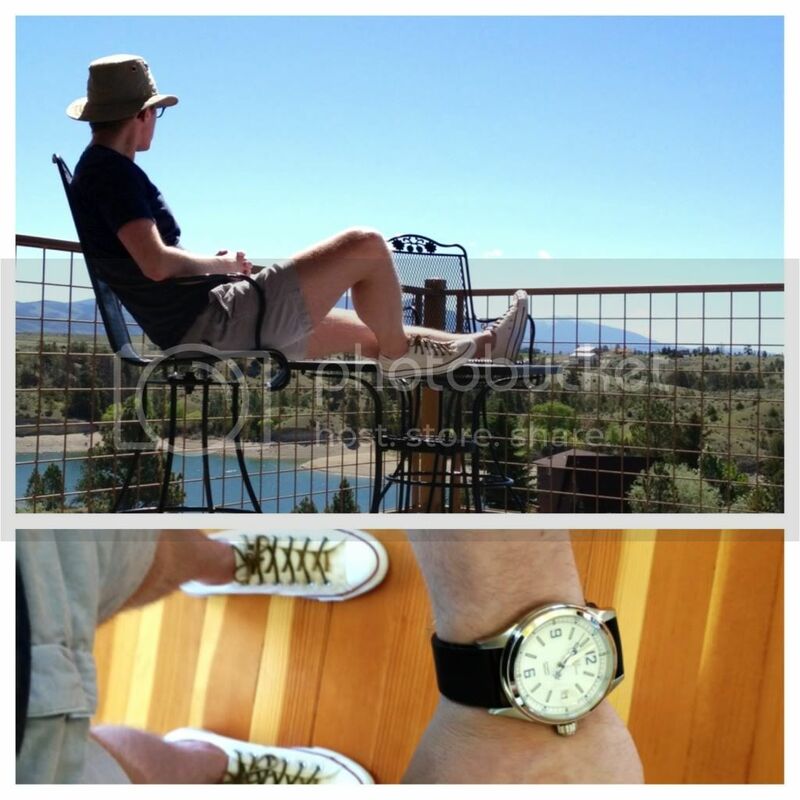 Target v-neck tee, Chubbies shorts, Converse sneakers, Ball watch, Tilley hat (more functional than stylish). 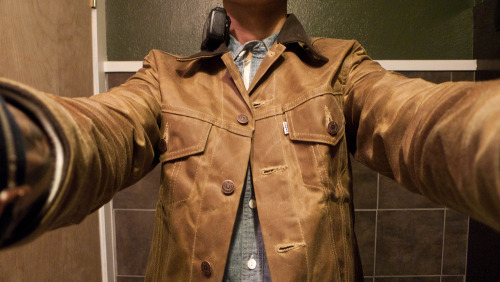 Shomas, you've been posting consistently good outfits as of late. BenR, I never expected to see a picture of you in shorts with a Ball on display.